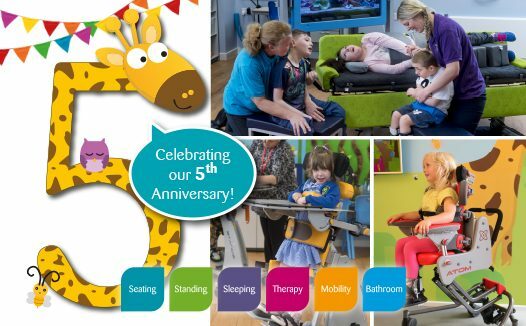 This month Jiraffe celebrates it’s 5th anniversary as the UK retail division of Jenx Ltd! Jiraffe operates as the UK retail division of Jenx Ltd and specialises in sourcing and providing postural care equipment for everybody whether at home, school, rest or play. Along with exclusive distribution of the Jenx Ltd product portfolio we offer a range of innovative products from other leading manufacturers including Rifton and Tarta Design. We recognised the need to separate our manufacturing capabilities from our UK sales which is how Jiraffe was born back in 2014! Launching Jiraffe allowed us to primarily focus on providing great service and after sales support for our UK customers. As part of the Jenx Ltd family, and with over 30 years experience of working with children and adults with special postural needs, we are dedicated to bringing you the latest, most innovative and highest quality specialist products out there. The Jiraffe range covers all aspects of everyday life from seating and standing to mobility and sleeping, to therapy and bathroom equipment too. All our products are aimed at enabling people to experience a wider range of activities in comfort. 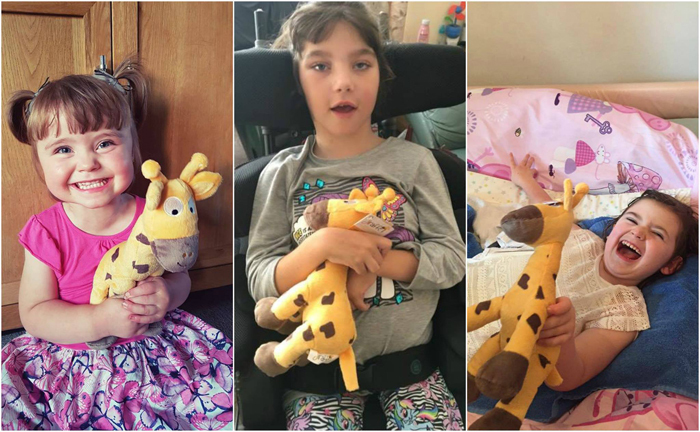 Jiraffe works in partnership with manufacturers, therapists, carers, families and children to provide the highest quality specialist products to make a real difference to people’s lives. The wide range of products offered enable individuals to experience a wider range of activities in comfort, providing a better quality of life. 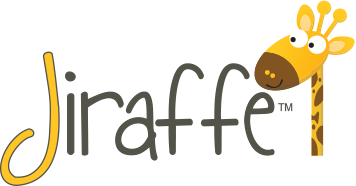 Click here to read ‘Your Stories’, to find out how Jiraffe has helped make a difference to families across the UK. We’re always keen to hear from parents, carers and therapists who want to share their story with us! If you, or someone you know has benefited in a positive way from using equipment from the Jiraffe range, why not get in touch and share ‘Your Story‘. Jiraffe specialises in sourcing and providing postural care equipment and support for everybody, whether they’re at home, school, rest or play! Our Vision… A better life and a brighter future for children with special needs. 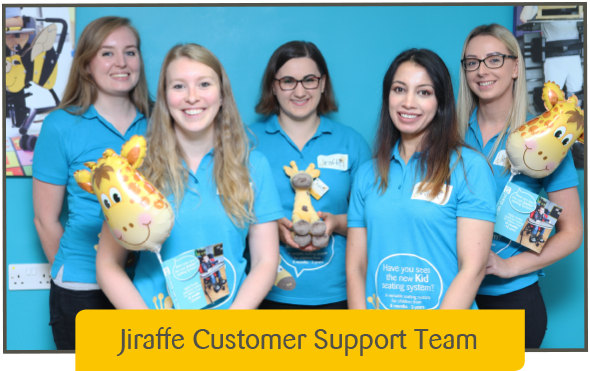 Here at Jiraffe, we pride ourselves on the exceptional Customer Support with a dedicated team of friendly Customer Support Advisors always on hand to provide support and assistance. 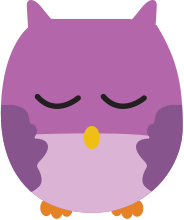 Have a question for our team? Simply call +44 (0)114 285 3376 or email hello@jiraffe.org.uk! Alternatively, click here to head to our ‘Meet the Team’ page to find your local Product Advisor who can help you arrange FREE, no obligation product demonstration or assessment.